With spring in the air, homeowners are itching to get outside and start beautifying their front yard landscaping. After all, our front yard is our face to the world, and we want to look pretty. Good lawn maintenance also increases home values. Established landscaping adds curb appeal, and that can take several years when it comes to foundation plantings and trees. And it’s fun, too. Working outside in the fresh air brings families together as they work to build a more beautiful nest. Backyards are where families and close friends gather, after all. What better way to spend a lazy summer evening than enjoying the fruits of your spring labors around a fire pit? A beautiful lawn is often the foundation for stunning front yard landscaping. This means regular feeding, watering, and mowing for a thick, green, lush grass that’s resistant to pests and weeds. Here are some products that will help you create a lawn that looks like it’s been fussed over by Scottish greenskeepers for half a century. For many Americans, great front yard landscaping means lawn maintenance. One of the secrets to a beautiful lawn is regular mowing. Removing no more than one-third of the grass blade length at a time means a healthier lawn. Any more, and you risk traumatizing and damaging the grass. 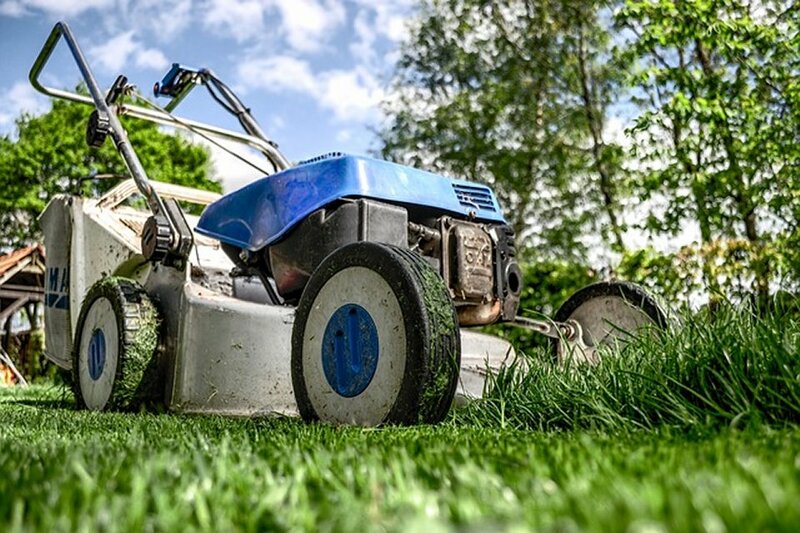 Start the season right by committing to a regular mowing schedule that means cutting before the grass becomes too long. Buying the right mower makes that faster and a whole lot easier on your back, which means you’ll be able to keep up with it. You can keep your lawn maintenance schedule and be environmentally friendly too, with the Greenworks cordless mower. A 20-inch blade means fewer passes, and the battery-operated motor means fewer carbon emissions and less pollution. 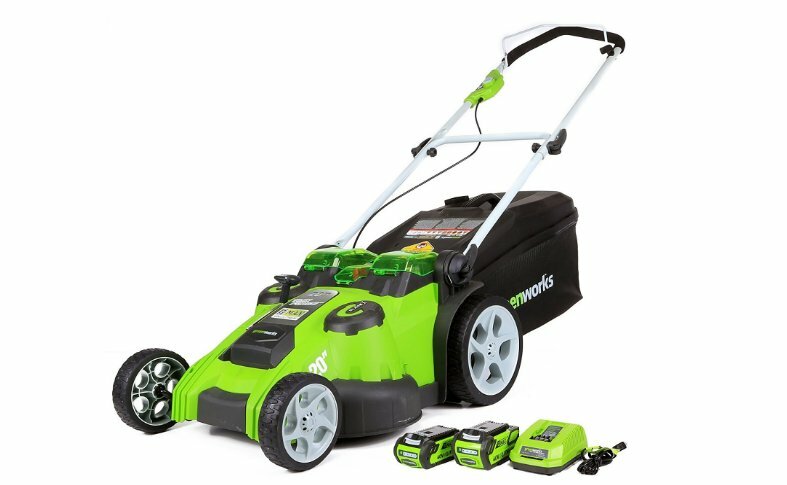 With “smart cut” technology, this electric mower adjusts to the thickness and height of your lawn. Dual batteries means you can finish the whole lawn without recharging, too. Electric mowers are not just more environmentally friendly, they’re also lighter and easier to push. Lawn maintenance is easier with this lighter mower. This means that everyone can pitch in when it comes time to mow. They’re also much quieter, too. If James Bond had a lawn, this would be the lawn mower he’d use. This robotic lawnmower is already programmed, and ready for set up as soon as you open the box. It automatically returns to its base if it rains or needs recharging. 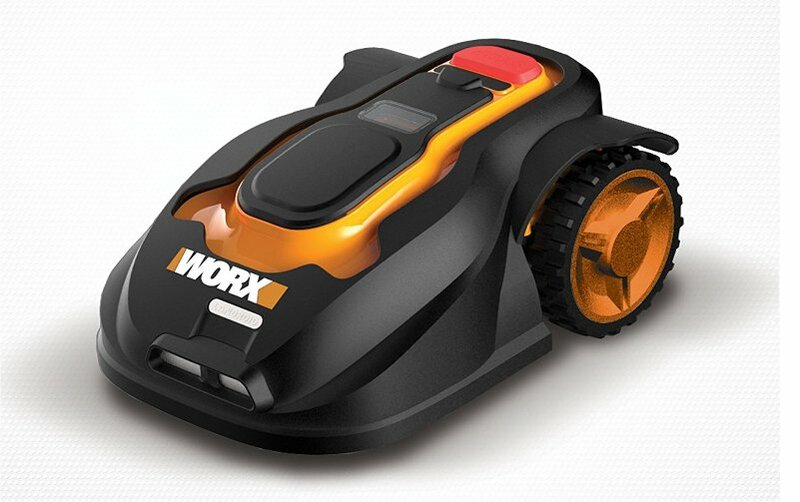 The Worx robot mower handles 20-degree inclines and cuts from 1.6 to 4 inches. The shock sensor system guides it around obstacles. Set up a daily schedule to ensure a perfectly manicured lawn, for plots of one-quarter acre or less. Sit back and relax while this robot mower does your front yard landscaping for you! Start the season right and make this the year you put in an automatic sprinkler system. Don’t wait for your grass to die off and then waste water in a last-ditch effort to restore life. 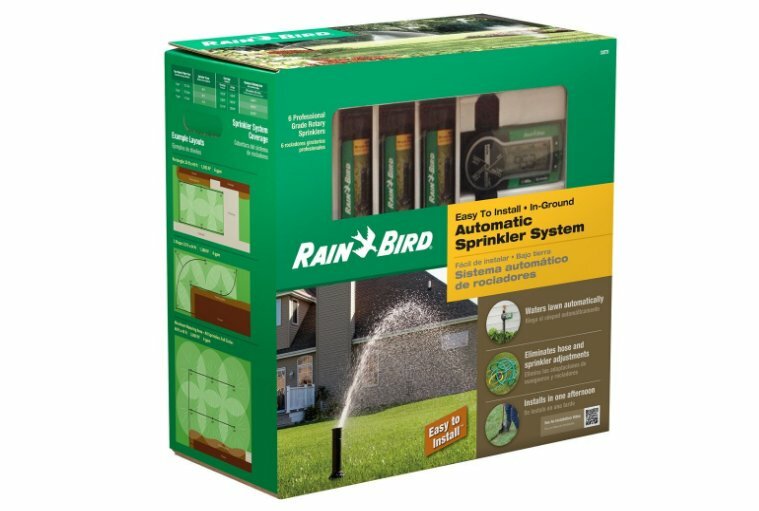 This all-in-one kit from Rain Bird, the biggest name in residential sprinkler systems — is easier and less expensive than you think. This kit comes complete to water your lawn automatically. No more messing around with hoses and sprayers. Attaches to your outdoor hose bibb and installs in one afternoon. Comes with retractable sprinklers and timer, and covers a medium-size lawn from 1,000 to 3,000 square feet. Not able to install a permanent sprinkler system? Renting, and still want a lush, green lawn? No worries! This above ground system performs much of the same functions without digging up your lawn. Attach four hoses to the controller at the outdoor hose bibb and set your sprinklers where needed. 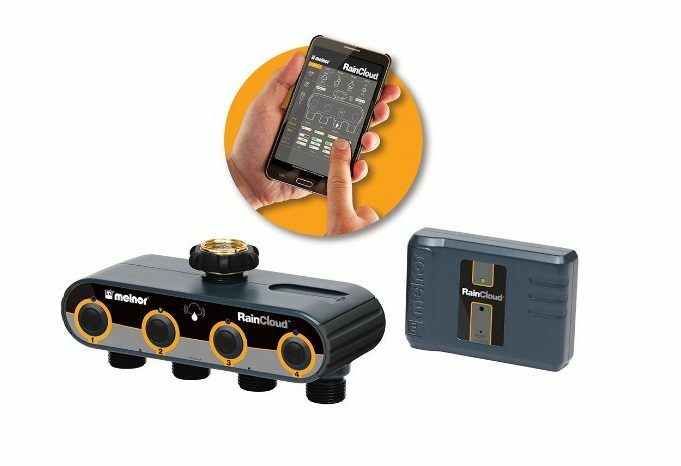 Then use the plug and play connection to your home router and the app to schedule and control your irrigation system from anywhere. 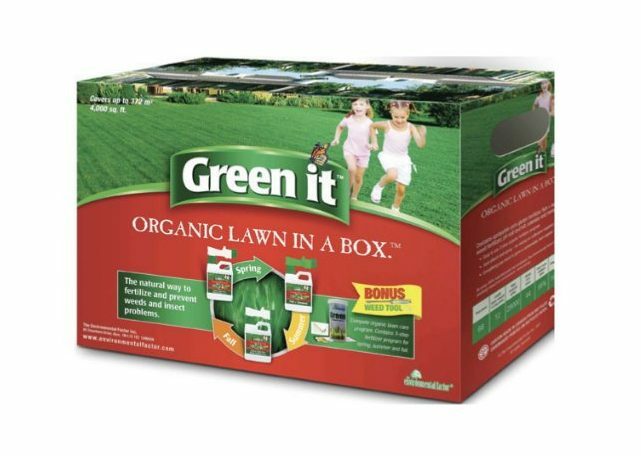 Reduce the use of dangerous chemicals on your lawn — especially with young ones and pets around -—with this three-stage organic fertilizing kits. This easy kit includes three applications, one for each growing season, in one box. Covers 4,000 square feet and comes with a soil testing kit. Crush your enemies, see them shrivel before you, and hear the lamentation of their seedlings! You’re tired of the endless cycle of weed pulling, with the inevitable very same weed growing back. You’re also tired of that shiver of guilt when you drop more glyphosate into the environment — even though so far it’s the only thing that seems to work. Don’t waste another moment when you can flame them out with this Weed Dragon Vapor Torch. That’s right — burn them out! 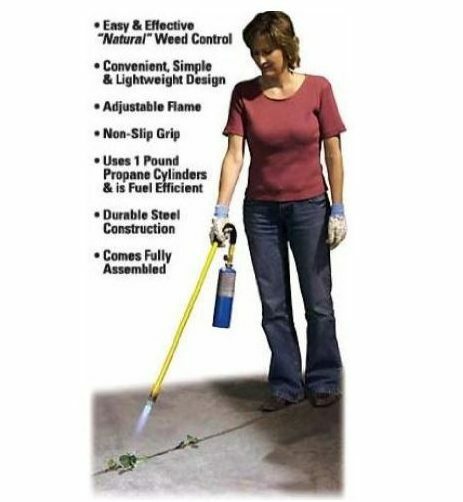 Easy to use, effective on weeds, and safe for the environment. This lightweight and easy-to-use torch has an adjustable flame and uses a one-pound propane tank. New to gardening? 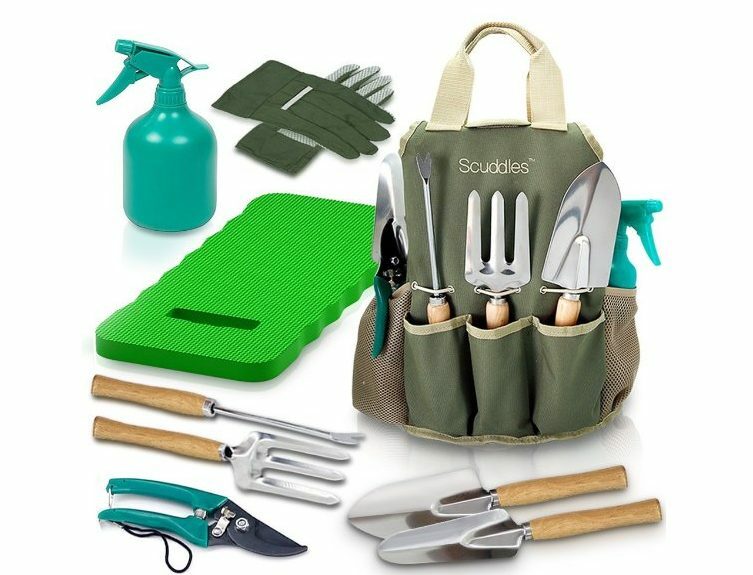 Get everything you need to get started properly with this handy garden tools set. This kit contains everything from a selection of trowels to gloves to kneeling pad. Comes with a tote case to keep your tools protected and organized — and it’s washable too. 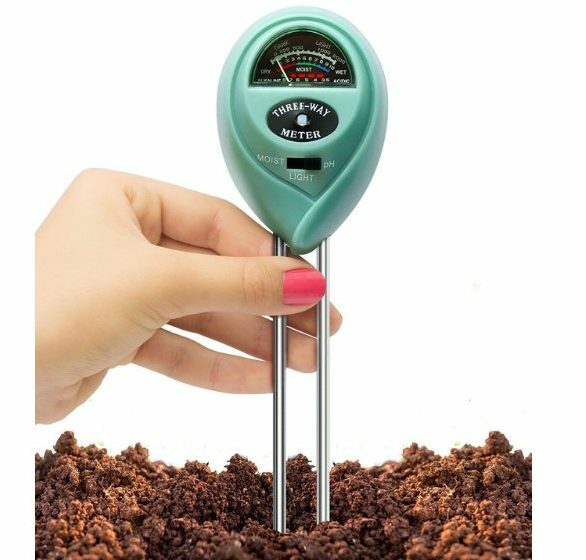 This handy tool measures soil moisture, pH, and light levels, all with no batteries required. Super easy to use: Just stick in the ground near your plant and read the intuitive display. Lets you know when you need to water or acid soil conditioners to return your soil to optimum pH levels for those acid loving plants and grasses. No more failed flowers because of uncertainty over shady areas. You may not realize how much sun your Front Yard Landscaping gets during the day and which plants will do best there. Just use it to check light levels before adding new plants. This ergonomically designed gardening tool has a “never-set-down” design, which means no more fumbling to pick up and put down to switch from tool to your hand. Reduces hand fatigue, and perfect for those with arthritis and carpal tunnel syndrome. 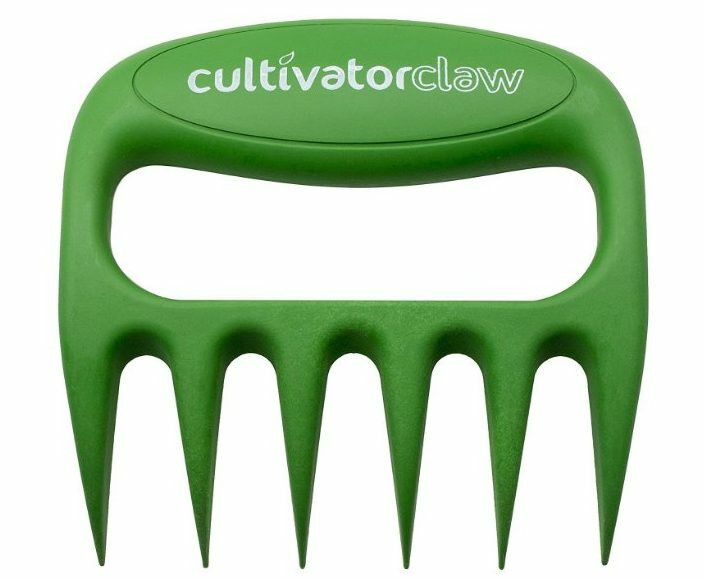 Great for weeding, cultivating, and aerating. This tool is made from heavy-duty nylon, which means it’s both light and rust free. 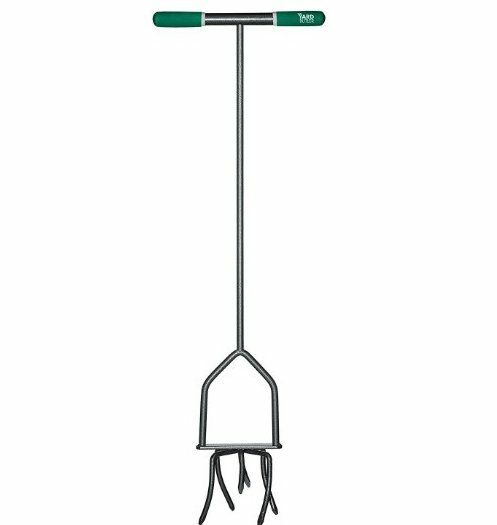 Essential tool for both flower and food gardeners, this tool makes it easy to turn the earth and aerate the soil for your garden. The 38-inch length means less stress on the back and the wide 12-inch handle makes it easy on tired hands. Easy rotate the tool to twist the tines and loosen even hard-compacted dirt. 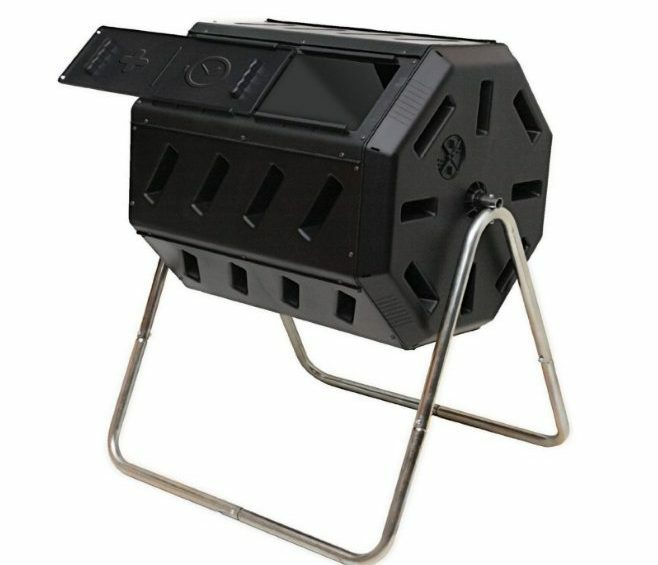 Create nutrient-rich soil for your indoor and outdoor plants with this tumbling composter. If you’ve never composted before, this is a great one to start with. Manually turning a compost heap is exhausting. Save the wear with this tumbler. Just close the door and turn a few times a couple times a week. The deep black finish means finished compost in as little as two weeks if placed in the sun. Total capacity is 37 gallons, about 5 cubic feet. Made with BPA-free, UV inhibited recycled polypropylene and galvanized steel frame for durability. 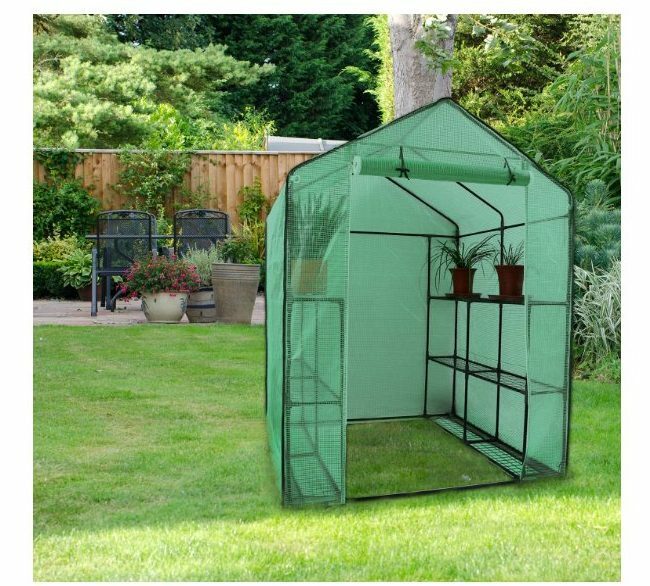 Get an early start on your flowers and vegetables with this easy to set up and roomy greenhouse. Sized to walk in and out in comfort to tend to all your seedlings. Has three tiers of shelves, with 12 wired shelves. Durable to hold heavy pots and seeds trays. Includes zippered door and screened ventilation. Completely portable, so you can move if required. No tools required for assembly. Constructed dimensions are 75.6 inches high, by 55.5 inches wide and 56.3 inches wide. Take advantage of early seedlings to fill out the flower beds in your front yard landscaping. Or start your summer vegetables for early harvest. You may even be able to grow some cold-weather vegetables throughout the winter. 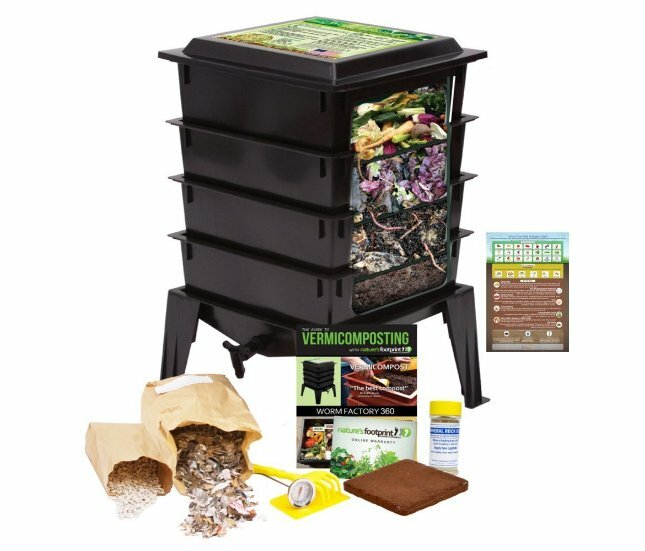 Turn garbage into gold with this fun worm composting farm. These wrigglers recycle kitchen scraps and paper waste into compost. Takes only a few minutes a week to maintain. Use it inside or out. Makes a great project for kids, too, and comes with detailed instructions and a cheat sheet for your kitchen on which scraps to feed. Worms not included. 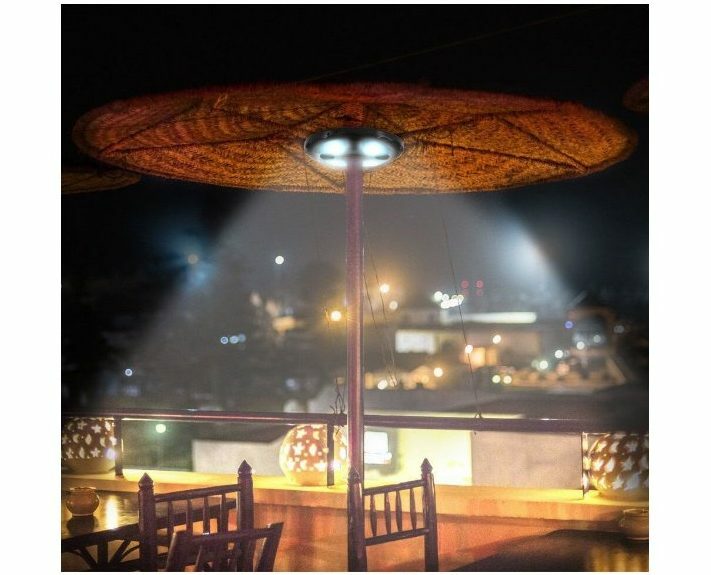 Spin a summer romance with this combination umbrella light and Bluetooth speaker. With soft jazz and color-changing party lights illuminating your evening, anything is possible. The built-in lithium-ion battery is rechargeable via USB, and supports about three hours of lighting and music. Hooks up to any Bluetooth device for an exciting party soundtrack for entertaining or audio books for just chilling. The clamp fits umbrella poles from 1.02 to 1.48 inch diameters. 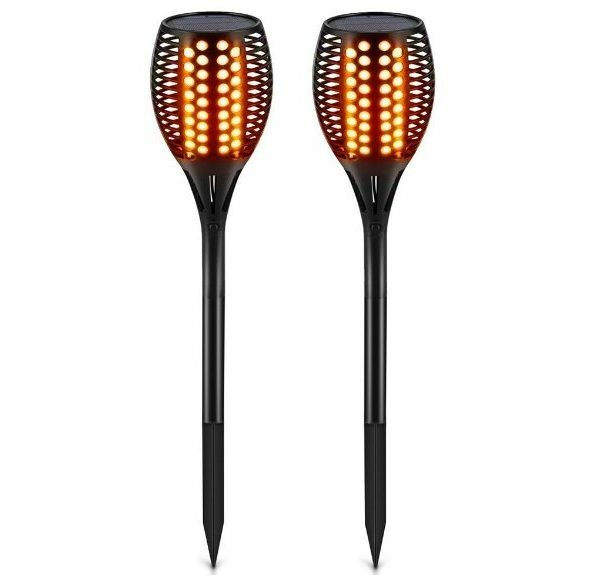 These waterproof flickering torches give beauty and ambiance to your backyard, adding mood for relaxing or entertaining. With warm, inviting dancing flame LEDs, these safe torches are easy to install, with no wiring needed and no batteries. This pack of two is completely solar-powered, with built-in rechargeable lithium ion batteries. Provides ten hours of lighting in summer, and five in the winter. Torches are 32.6 inches high. 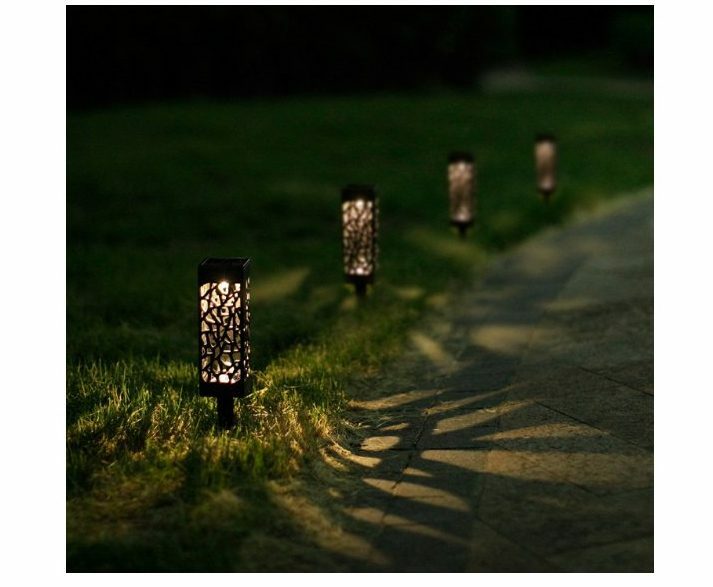 Light your front yard landscaping pathways with these pretty solar powered lights. These six LED lamps give a magical glow to every step with their patterned casings. Easy to install garden stakes — no batteries or wiring involved. Provides eight hours of lighting on a full charge, and can be turned off at the base if desired. 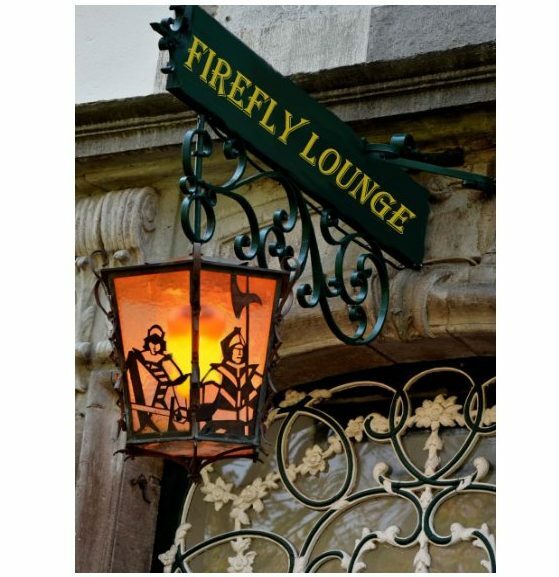 Give all your outdoor lights an old-world glow with these “flickering flame” LED bulbs that turn any dull light fixture into a magical lantern from the past. For special occasions like holidays or parties, or just because they’re so cool. These bulbs simulate real flickering flames, with three settings to provide a steady soft glow, pulsing, or flicker. LED bulb uses very little energy and is cool to the touch. Fits into any standard light fixture. These magical LED lights are multicolored, with acrylic housing. Provides 16 RGB colors and four lighting modes, with a remote control. 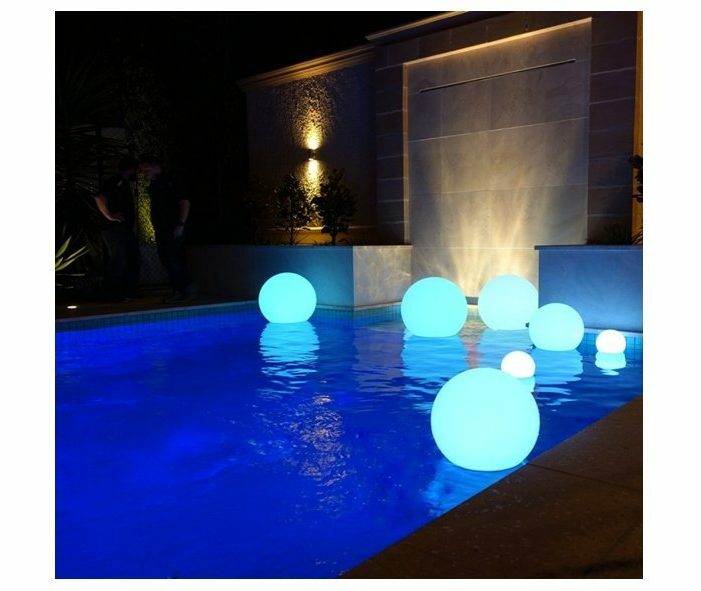 Fully waterproof, place several around your backyard landscape our around the pool for a serene evening ambiance. Comes in several shapes and sizes, too, from 6 to 16 inches. Also in egg and moon shapes. 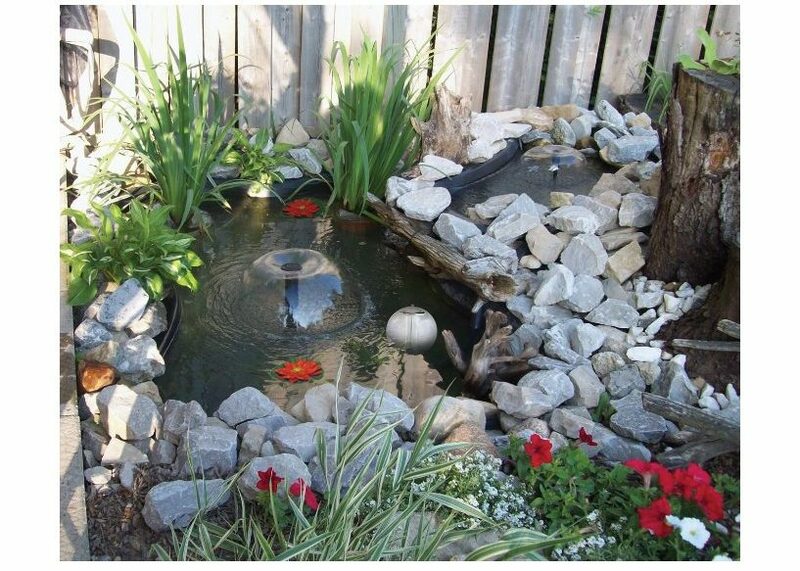 This “pond in a box” is everything you need to set up a beautiful water feature in your backyard landscaping. Includes an 8-foot by 10-foot pond liner, so it’s quite sizeable and impressive. The pond holds 270 gallons and has a 200 GPH pump. 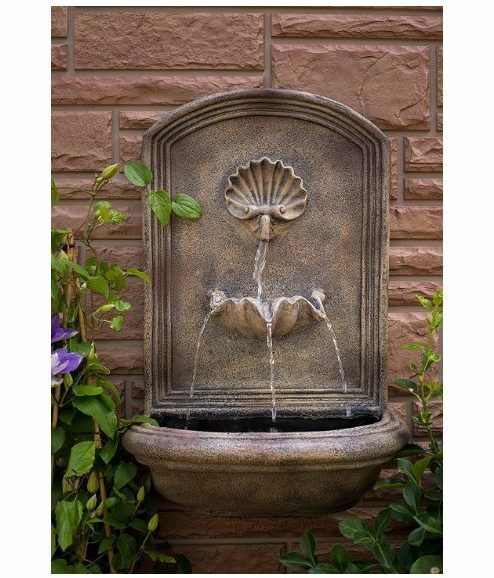 Includes two fountain heads, diverter, and telescope riser, as well as two silk water lilies and solar lights to get you started on your lovely new fountain pond. This stunning waterfall fountain makes a statement on your back patio, enclosed porch, or even inside. With a mirror back and quiet pump operation, it casts a spell in any outdoor entertaining space. 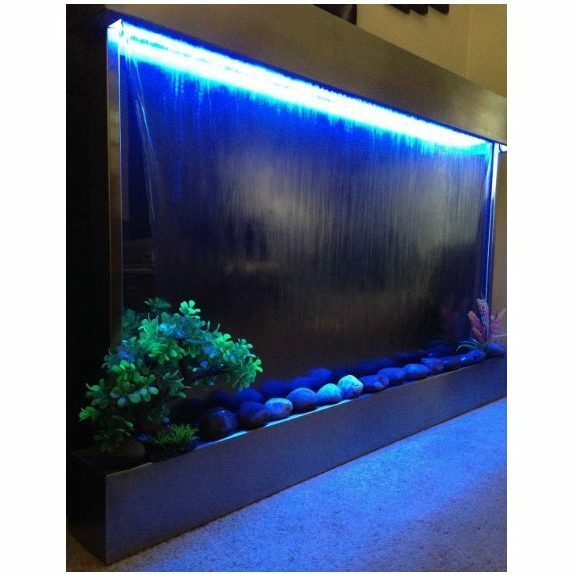 The extra-large fountain is 53 by 35 inches, wall mountable, and has seven colored LED lights with remote control. Ships fully assembled, too.. 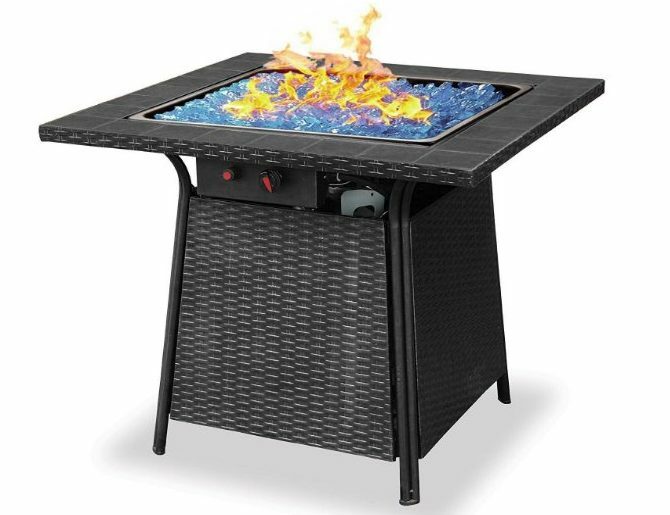 This modern design gas fire table is an impressive 57 inches long and can serve as a table with a fire pit lid. 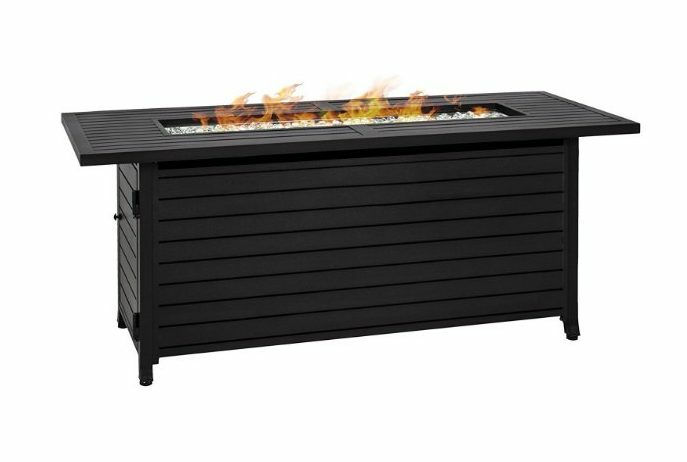 Weather resistant aluminum fire table has a 50,000 BTU stainless steel burner and works with a 20-pound propane tank stored discretely below. Includes glass beads and a vinyl cover for storage. Dimensions are 57 inches long by 22 wide by 24.75 inches high. 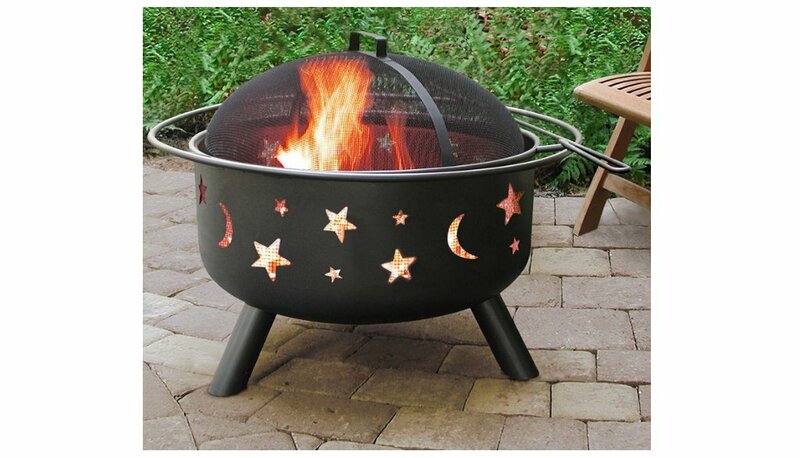 For a beautiful wood-burning fire pit, this one gives a fantasy aura to your backyard with its motif of stars and moons. Features a choice of black or terra cotta finish, with cooking grate, poker, and spark screen. Has a 397-square inch burn surface, with a 23.5 inch fire bowl. The entire pit has a 29.5-inch diameter and stands 23 inches high. This stylish looking fire pit lights with the push of a button, with 30,000 BTUs. Features a slate tile top and wicker design panels that hide the propane tank. Stands 36-inches high, and comes in black or bronze. Create an oasis in your yard with this generously sized hardtop gazebo. 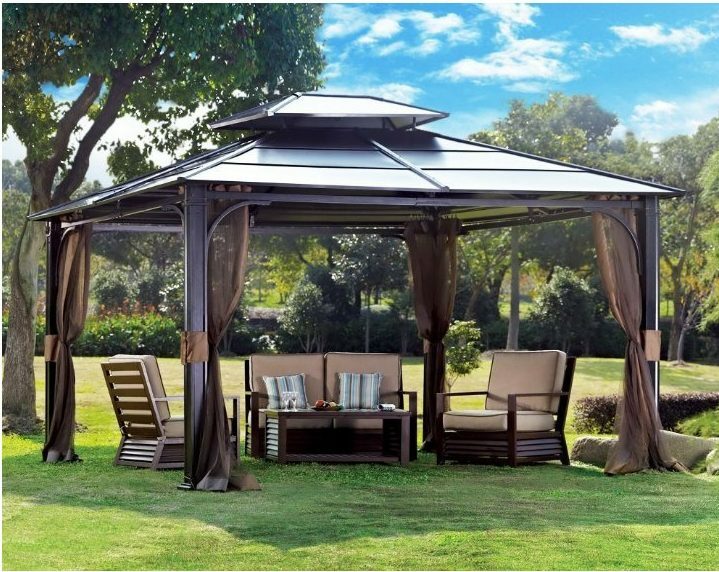 Made of durable powder-coated steel, with sturdy supports and an all metal roof, you can set this up over your outdoor seating or spa for privacy or shade. The vented roof provides airflow day or night. The gazebo can be bolted down to resist winds as a permanent installation. The gazebo is 8 feet by 10 feet square, with peak height of 120 inches and clearance height of 79 inches. 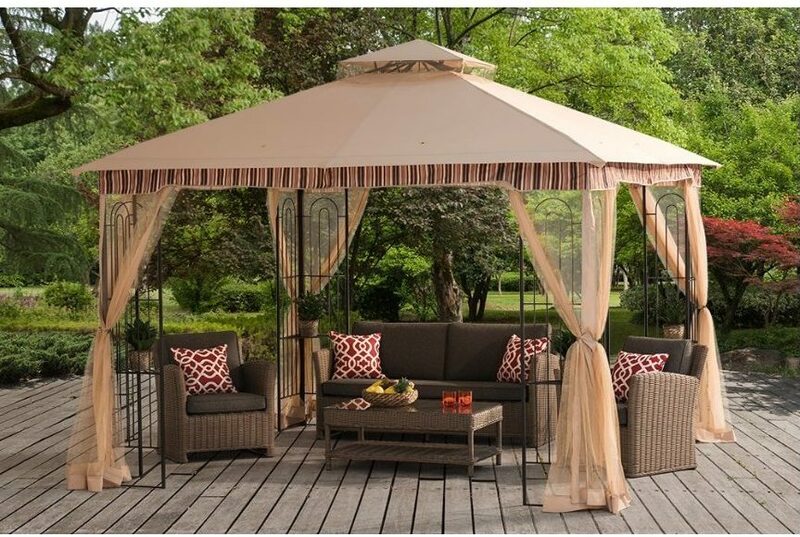 This graceful soft top gazebo provides shade during the summer, featuring an elegant scrolled and sturdy frame at the corners. Sturdy enough to hold party lighting, it also has shelving at each corner for additional décor placement. It also has netting to protect from flying insects, with full zippers down each side. Use over your outdoor seating or spa for the perfect romantic evening. Sets up and breaks down in just minutes, so you can take it down for storage during the winter. That means it will last for years of summers to come. Gazebo measures approximately 10 by 10 feet, by 9 feet high. This four piece set is sleek, modern and stylish. The all-weather materials are protected from UV rays for long-lasting durability. Includes couch, two chairs, and glass top coffee table. 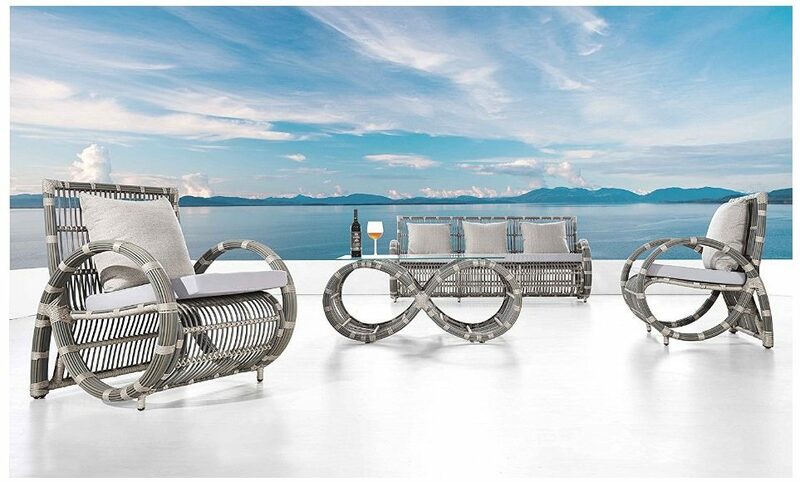 The infinity design is timeless, adding over-the-top design flair to your outdoor living space. 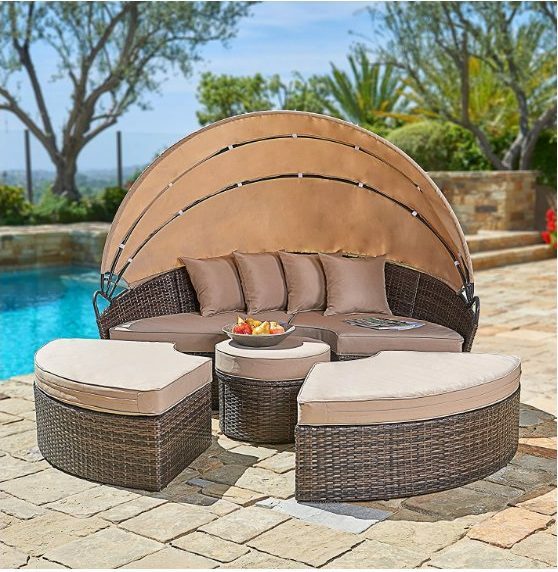 A big hit for people who love to nap out of doors, this patio daybed is perfect for resort-style living. Pull out the ottomans for circular seating, or push together and close the clamshell lid and cash some Zs. You’ll be living the life of luxury (and well rested) with this stylish addition to your backyard landscaping. Includes all hardware, and assembles in about an hour or so with two people. The range of products available for your backyard and front yard landscaping is endless. It’s fun to shop online, but remember to make a plan before setting your heart on that awesome koi pond. Make sure you have a place to put it and that the area is accessible to electric for the pump. Before buying plants, make sure the area you have set gets the right amount of sunlight and has adequate drainage. Anyone can have a welcoming backyard entertaining space or an inviting front yard with proper planning and a few great tools to set your gardening dreams in motion.